Shoyo Hinata isn’t a large guy, but he’s got huge ambitions: to become the next big thing in high school volleyball. Unfortunately, his junior high team was trashed in their first and only match. But now that he’s enrolled in a high school with a top volleyball program, things are going to be different. 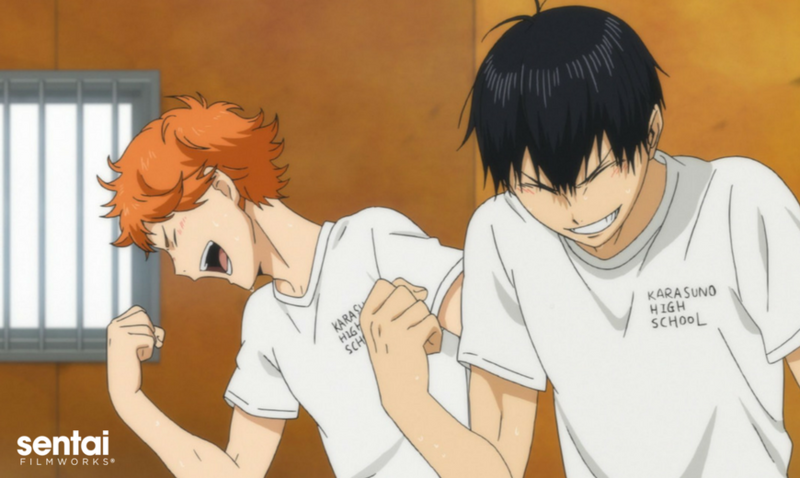 There’s just one problem: Tobio Kageyama, whose team beat Hinata’s and is already considered a star player, is attending the same school. Can a kid out of nowhere hold his own against the King of the Court? Or could the rivalry and competition actually be the best thing for both of them? Get ready for a knock-down, throw-down, ultimate showdown barrage of volleys, spikes, and blocks as two rivals face off in HAIKYU! !